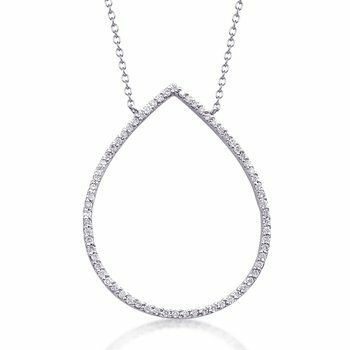 This necklace features a tapered diamond pendant that is both sweet and edgy. Doves by Doron Paloma is synonymous with eye-catching and wearable heirloom-quality jewelry. Doves can be found in over 700 points of sale worldwide. 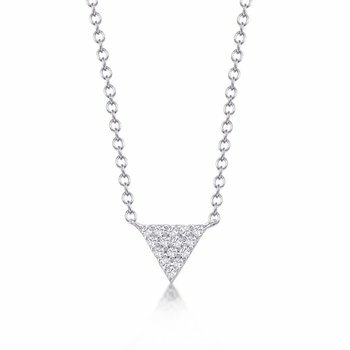 From Madrid to Mexico, St. Barths to San Francisco, Doves is one of the biggest names in global luxury jewelry. Every Doves piece begins with a pencil and a sketch board. 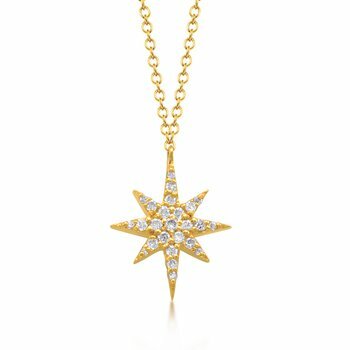 Chief Designer, Doron, combines 18 karat gold, diamonds and precious gemstones to create unique treasures. His attention to detail produces dramatic creations, yet it’s his unrelenting pursuit of perfection that sets his designs apart from the pack. 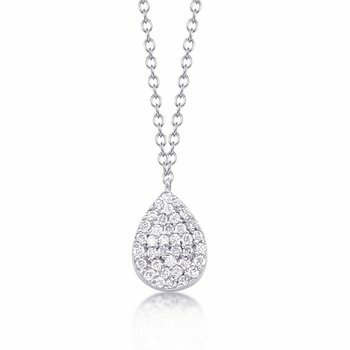 In the past several years, Doves by Doron Paloma’s trend-setting designs have garnered celebrity attention and worldwide press. Doron has made exclusive designs for First Lady Michelle Obama, Jennifer Lopez, and Catherine Zeta-Jones, among others.